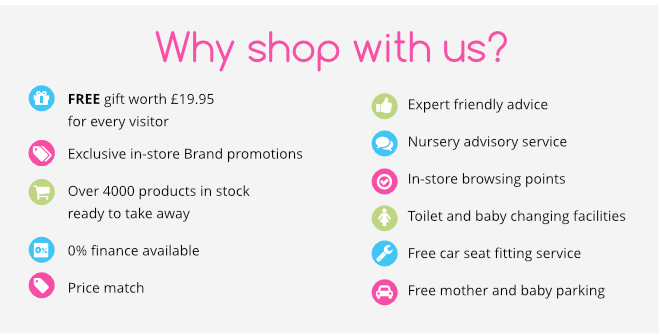 Online4Baby are excited to welcome you to our brand-new showroom in Oldham, which stocks all the top-quality products and leading brands at the fantastic bargain prices you've come to expect from the UK's cheapest online baby megastore. 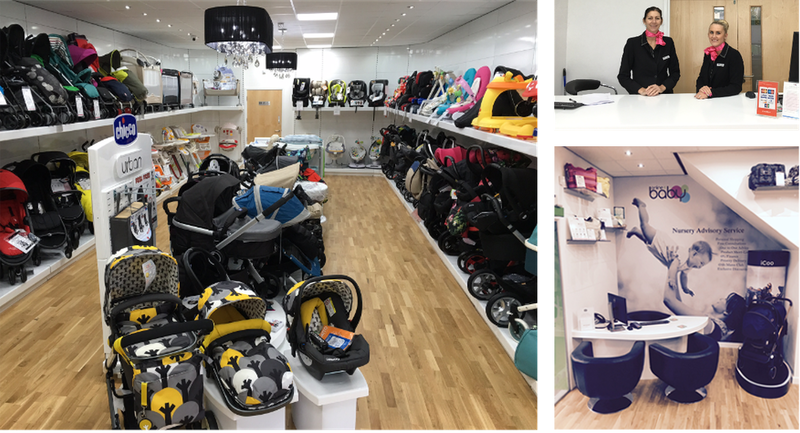 Just off the M60 at junction 21 - easily accessible for anyone in the Greater Manchester area - our relaxing, spacious 3000 sq ft showroom is the perfect one-stop-shop for all your baby and toddler needs. Come along and browse our wide range of car seats and buggies, from lightweight strollers and three-wheel pushchairs to tandems, twin prams and full travel systems. We've a huge variety of accessories too, including buggy boards, footmuffs, raincovers and changing bags. Whatever your needs at the Online4Baby showroom, our team of experienced, fully trained staff will be more than happy to advise and assist you in making the perfect choice. As with our online store, you'll find all the leading brands at our new showroom, including Baby Jogger, Chicco, Clair de Lune, Cosatto and Red Kite. It's the perfect place to drop in, compare products and try before you buy. We've put the needs of our customers at the forefront too, offering the free use of iPads for those without internet access at home, a car seat fitting service, complimentary drinks, baby changing facilities, free mother and baby parking, disabled-friendly parking and ramp access. In-store you'll find exclusive promotions and our fantastic nursery advisory service, plus we offer a gift list service, price match promise, 0% finance packages and an Online4Baby savings club. We even offer a personal shopping service and can arrange for priority deliveries to be made to your home. Online4Baby look forward to seeing you at the new showroom.